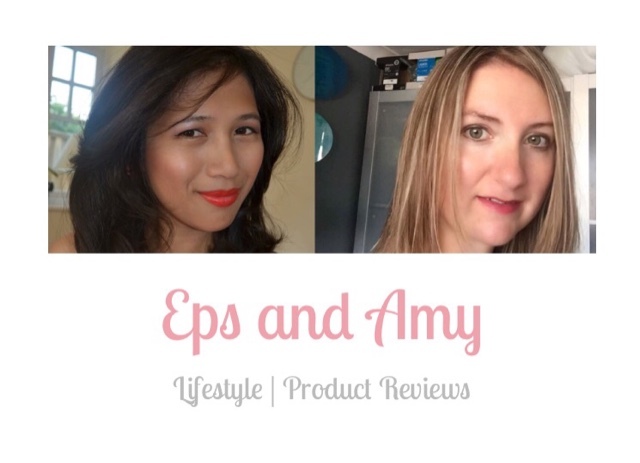 A hobby on my spare time...product reviews and bargain hunting, fashion, health & beauty, lifestyle and etc. Got a 2 items free from Everything£5 as they are giving away free gift and they sent me a code through my email for 1 free gift to claim and got another code from Ashleigh money savers which is ASHSHOES to be use at check out. Promo code till Friday I think. This came on its own box with image and information about the product printed all over the box which looks presentable. Inside is the thermometer, a 2AAA battery, 2 bonus cooling packs and instruction. I put the battery provided at the back of the thermometer then read the instruction which is very clear and easy to follow and understand. The thermometer can be use for body temperature, or other things such as water, baby milk, bath surface and etc. The option can be found at the side of the thermometer. The house sign is for objects and the head sign is for body temperature. Just turn it on by pressing the on/off button then you can see its ready to take temperature when the image of ‘C is twinkling. The head of the thermometer should be within 5cm of the surface then aim it for its purpose example the forehead whilst pressing the scan button for 2 seconds and you can see the reading instantly in the LED screen in centigrade. Also if you have a reading of 37.5 and below it will display in a green light background with a long beep and if it’s higher then you get a red light background with your reading and a short alarm beeps Which is the fever alarm. This safety feature alert is only on a body mode as the object mode won’t display in a red light background so make sure you always choose the right mode before taking temperature. With the object temperature, I test this with a cold kettle and newly boiled kettle and you can see the difference of temperature reading please see pictures provided. I’m really amazed how this thermometer work contactless. It means this can be use for foods temperature, water temperature, milk, bath and etc. 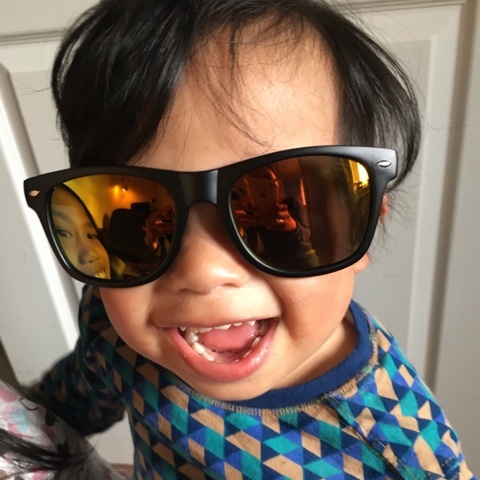 Non contact means it’s very hygienic to use and also practical for children and babies who hard to get temperatures when they are irritable or moving around like my son when I tried it on him. He kept running away from me but still manage to get a reading because it’s quick and efficient. This also has a memory storage of last 30 readings and plus it will automatically switch off which is good for saving battery life. I’m really impressed with this thermometer, it’s a must have gadget for first aid and temperature checking since it can be used for objects. I think the price is reasonable for its quality and use since it’s accurately described and meet all my expectations. I can’t fault this product so I’m really pleased with it and would definitely recommend it. I received this product at a discounted price or free for my honest review.I know people can be sceptical with reviews left by people whom have received items discounted or free. But I am not affiliated with Amazon or the seller and this doesn’t influence my feedback in any way so if I find an item needs improvement then I will give my full honest opinion. I do have a short time frame to review these item which means that I cannot provide details of the long term benefits of the product but will always try to give as much information in terms of my initial experience or impression of the product and if a problem arises after writing my initial review then I will edit my review accordingly. The thoughts and opinions in this review are my own unless otherwise stated. 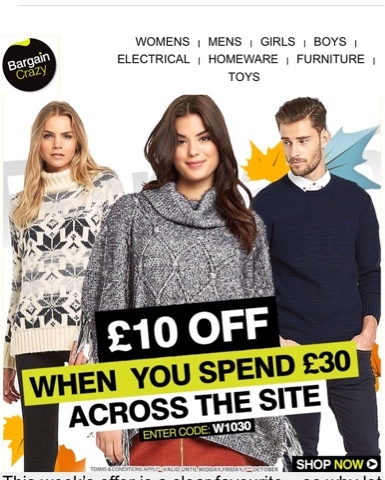 Omg this is such a great deal at Bargaincrazy you can get £10 off if you spend worth £30 or over with all their items already been discounted. 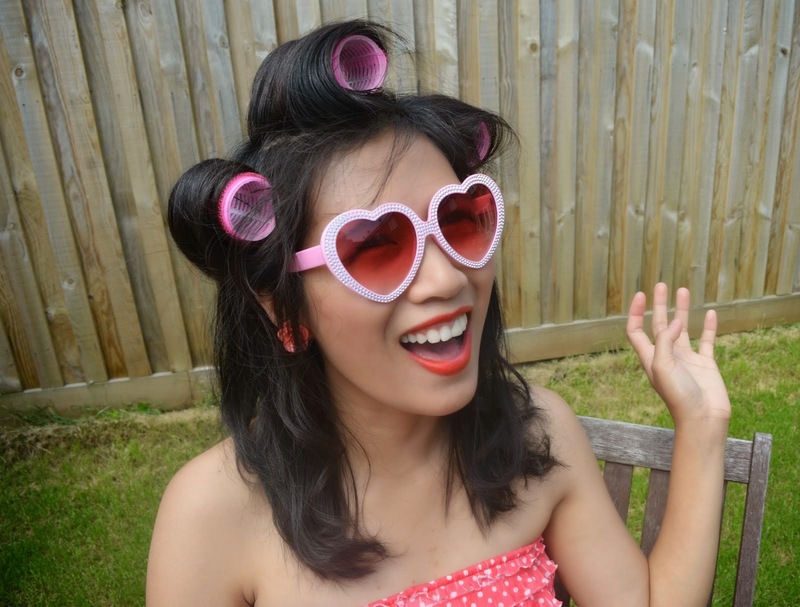 This is one of my fave online shop for my fashion bargain hunt. Enter code W1030 at check out and share your shopping spree guys. 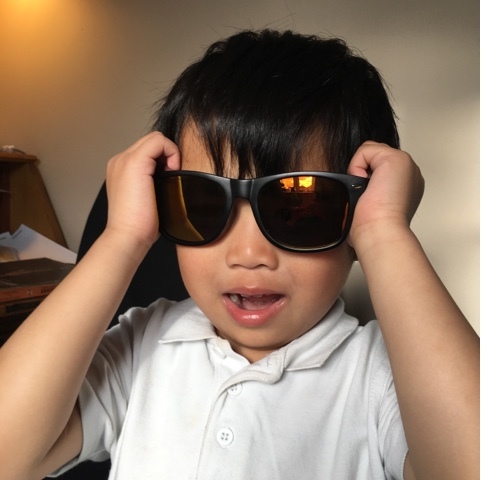 The whole family loves this sunglasses that when I tried them on, my kids got excited and insist to try them on as well. Hubby tried them first when they arrive but didn't had the chance to photograph him. 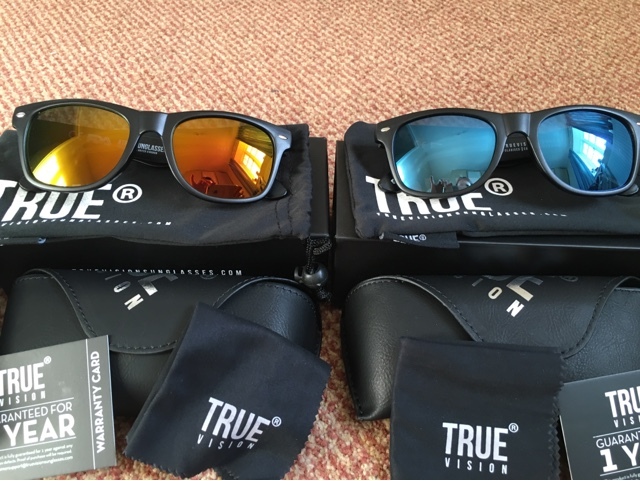 This arrive in a looking expensive box packaging with the brand name of true vision, perfect to give as a gift as the presentation is just excellent and designer like. Inside comes the pouch, drawstring bag and cleaning clothes all branded with true vision logo. Then there is the amazing and trendy looking wayfarer sunglasses. It looks high quality, clean and you can even use it as a mirror for your face as the lense are very clear. When you tried it on, it fits comfortably on the bridge of the nose and back of your ear and even to my kids which makes them looks cool even though it's a bit big for them. 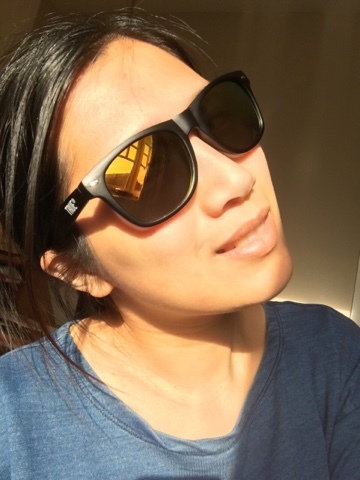 When in use, the view is very clear and you can definitely tell that the lenses are made of high quality material and has a good benefit on the eyes when expose to the direct sunlight as no glare. Looking at the pictures as well while wearing it does looks fashionable. I was amaze by the quality of the presentation and everything that was put into this product. This can definitely match or beat designer brand and already a winner especially in terms of the price. 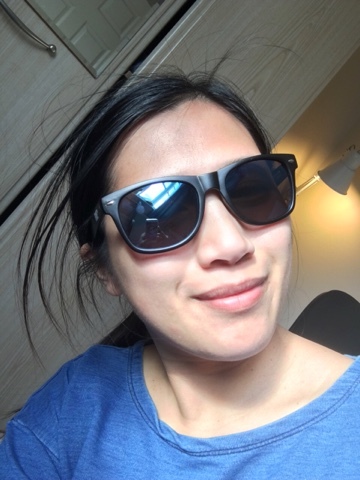 I use to have rayban but got scratched easily and this has a scratch protection and plus one year product guarantee so you can assure that it's a really good quality. I'm really impress with this product and we definitely recommend it to everyone. 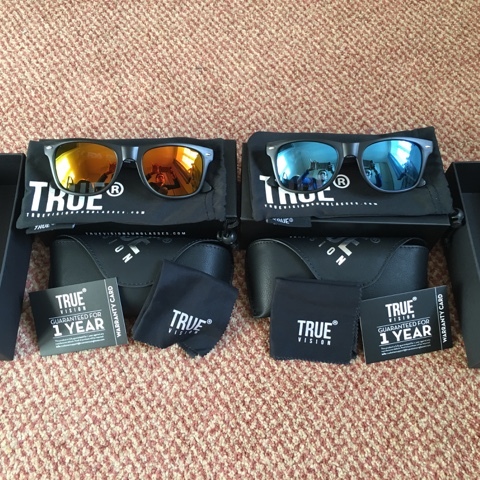 I was also lucky to be able to buy them both to compare which one is better but I must admit they both look and feel good and definitely looking expensive sunglasses with a good quality. I really love this product and can't praise this enough. Please see our pictures and you can tell that even my kids love them. I was kindly offered to purchase this product at a discounted price or free for my honest review. I know people can be sceptical with reviews left by people whom have received items discounted or free. But I am not affiliated with Amazon or the seller and this doesn't influence my feedback in any way so if I find an item needs improvement then I will give my full honest opinion. I do have a short time frame to review these item which means that I cannot provide details of the long term benefits of a product but will always try to give as much information in terms of my initial experience or impression of the product.